Imagine this! Crunchy stacks of fresh zucchini Parmesan stacks layered between juicy slices of garden picked tomato and fresh mozzarella cheese. 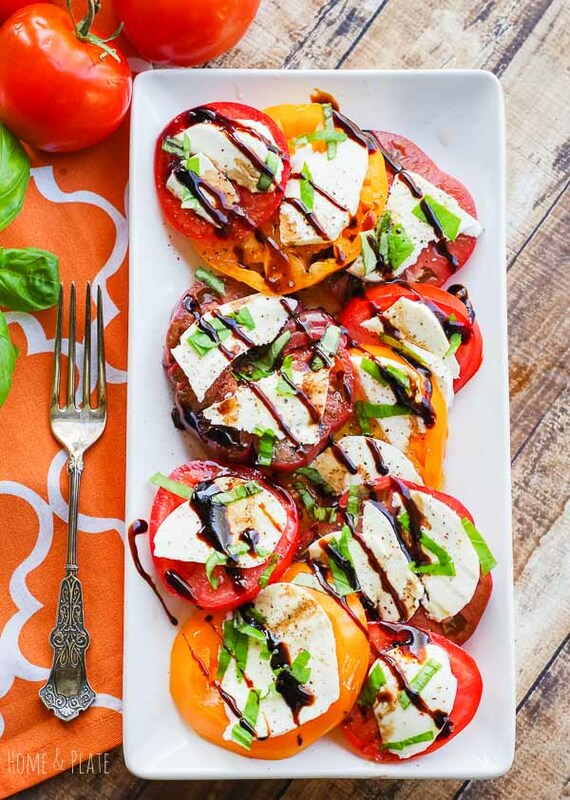 A drizzle of balsamic reduction and I promise you will be in heaven! Have you ever had a meal like that? You will with my Fresh Zucchini Parmesan Stacks. I grow my own tomatoes and always make a batch of my own sauce with my bounty. But it’s not something I have time to do on a regular basis. I am a busy mom with teenagers involved in so many activities. I always have a jar of tomato sauce in reserve in the pantry for pulling together easy dinners. And now I’ve discovered something new! 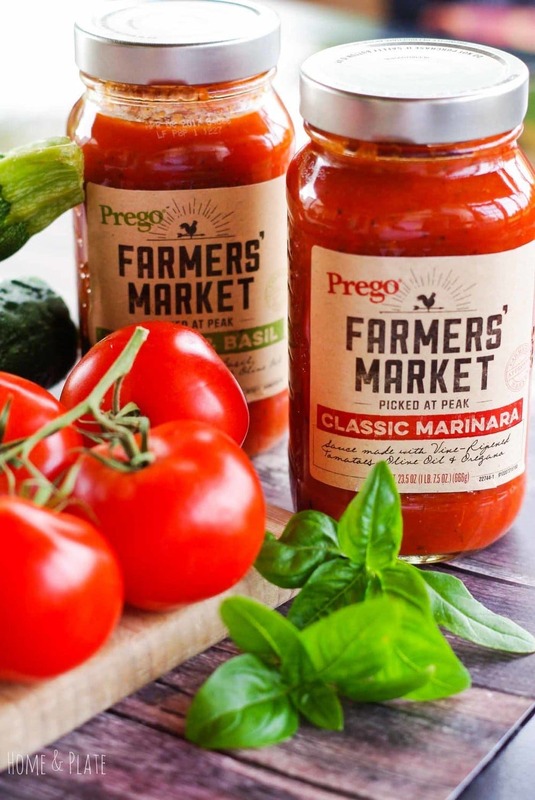 Prego® Farmers’ Market sauces are now my go-to for marinara when I need it. Luckily Walmart has this new collection stocked. It’s nice to know I can create a tasty and easy meal using Prego® in a matter of minutes. What I love about this collection of sauces is that the tomatoes tastes like they were picked right from the garden at the peak of freshness. There is nothing like fresh veggies in the summer. I like to visit the local farmer’s market for produce I don’t grow myself. For this recipe I chose a thick zucchini so I have long slices after cutting it on an angle. How should I cook the zucchini? My zucchini is picked fresh then sliced, breaded and sautéed until it’s crispy and delicious. While I prepared these on the stove top, the zucchini can easily be roasted until the slices are browned and crispy, about 20 minutes at 400 degrees F.
I chose Prego® Farmers’ Market Tomato and Basil sauce for this recipe but their Classic Marinara would work just as well. While heating up the sauce I could see the tender bits of vine-ripened tomatoes, garlic and basil and I couldn’t resist the taste. Neither could everybody else in the kitchen. This is where I have to keep sticky fingers from stealing and dipping the zucchini into the marinara. I’m not done yet! 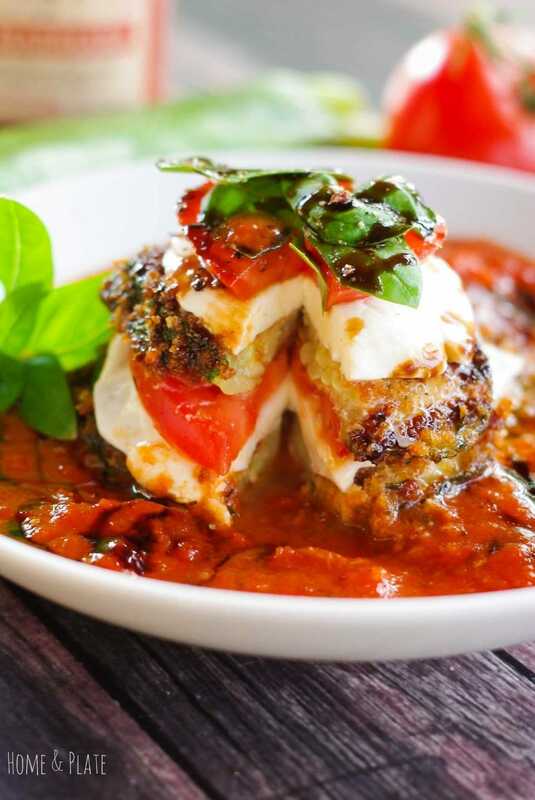 I like to take my dish to the next level and stack the crispy zucchini with juicy slices of tomato, fragrant basil from the garden and fresh mozzarella cheese. Then the stacks are nestled in warm Prego® Farmers’ Market Tomato and Basil sauce for the ultimate summer fresh garden dish. Can’t you just taste it? Make this for dinner yourself! If you are looking for the perfect summer Italian dish this is the recipe for you. 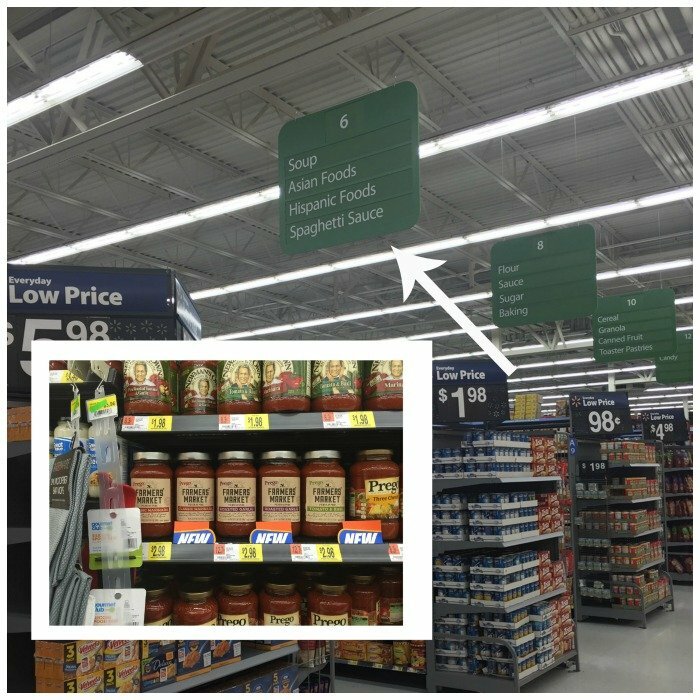 It’s easy and you can get everything you need at your local Walmart! Imagine this! 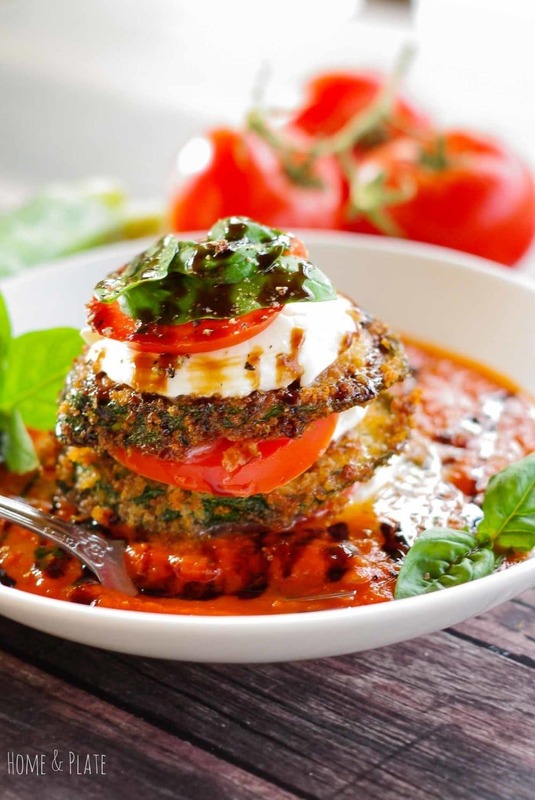 Crunchy stacks of fresh zucchini Parmesan stacks layered between juicy slices of garden picked tomato and fresh mozzarella cheese. Heat the Prego® Farmers' Market Tomato and Basil Marinara in a sauce pan over medium heat reducing to low after a few minutes to keep warm. Prep the tomatoes and mozzarella. Heat a large skillet to medium heat and add the canola oil. Eye ball it depending on the size of your skillet pan and add more oil if needed. Allow the oil to heat up for a minute or two before adding the breaded zucchini slices. Create an assembly line for the sliced zucchini. Crack the eggs in one bowl and beat well. Mix together the breadcrumbs and Parmesan cheese in another. Dip the slices into the egg first then into the breadcrumb mixture covering both sides well. Add the zucchini slices to the hot oil and allow the zucchini to sauté for about 5 to 7 minutes until golden brown on each side flipping halfway through. Remove the zucchini slices with a slotted spoon to a paper towel-lined platter. Pour a ladle full of marinara sauce onto each plate. 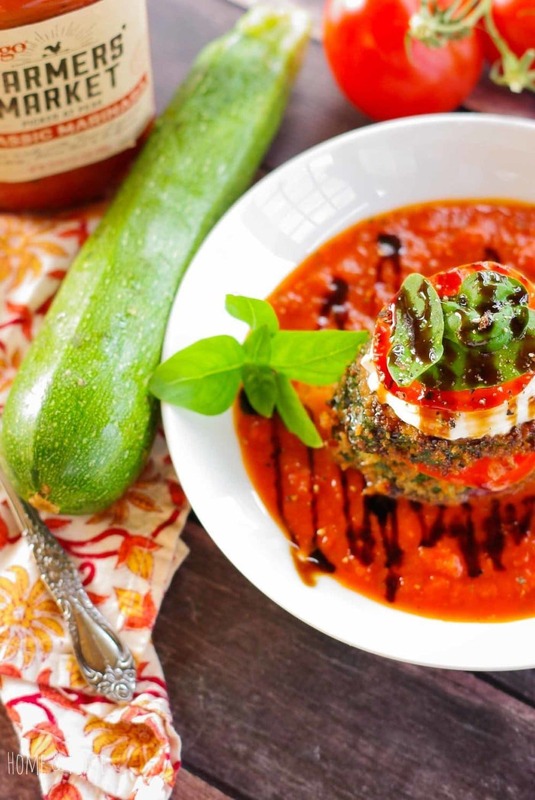 Create a stack alternating the zucchini, tomato slices and mozzarella on top of the sauce. Top with fresh basil and drizzle with balsamic glaze. Oh my! I can see myself having this as a weekend breakfast as well! mmm…. Thanks Eileen. These would be good for breakfast. These bad boys have been all over facebook this morning and I want to eat my computer screen! SO MUCH YUM! Thanks Jenn. These zucchini Parmesan stacks were hits in my house and hopefully they take off even if it’s on Facebook. To yummy to pass it up. These are gorgeous and so perfect for summer! Love the crispy panko. I want to dive into this for dinner tonight! 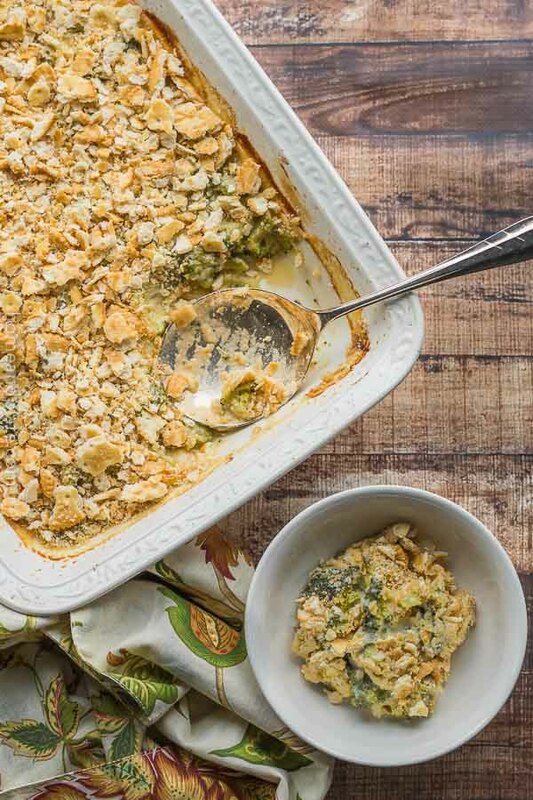 Thanks Amanda…this recipe is a perfect way to use up that summer zucchini. Enjoy! Wow! This looks and sounds incredible. I want to eat this NOW! You did good Ali, real good! Thank you so much. I hope you enjoy. They are so tasty. Thanks Safira. I hope you like it. wow,,so tempting ..looks incredible ! Thanks Carolyn…it is so yummy and I know I have kids with sticky fingers who are always stealing them from the plate as soon as they are ready to eat. Enjoy! I have also done a similar stack with Eggplant that is delicious and for breakfast brown turkey sausage patties and poached egg & add to the stack and Oh My you have a Gourmet Breakfast. We have this OFTEN!! 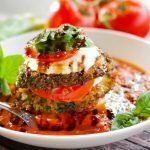 Just discovered and signed up so thanks for the great recipes!. 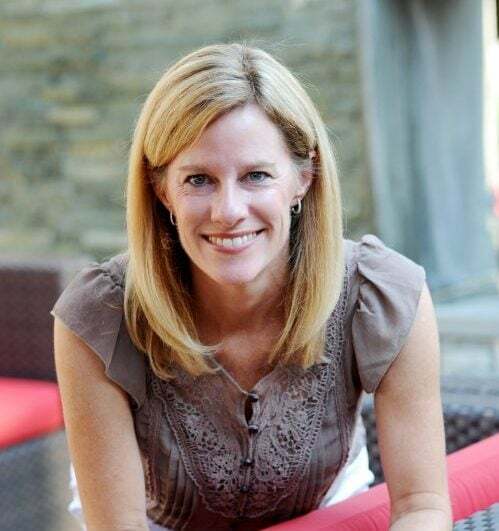 OMG Kathleen! It would be excellent with eggplant. I love this idea. I just don’t think you can go wrong with either. Now I’m getting hungry. Thanks so much for visiting. Looks good and I wiil try it. This sure looks like and ad for Prego and Walmart, though.